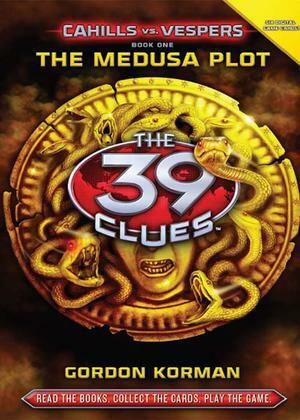 The 39 Clues is a series of adventure novels written by a collaboration of authors, including Rick Riordan, Gordon Korman, Peter Lerangis, Jude Watson, Patrick Carman, Linda Sue Park, Margaret Peterson Haddix, Roland Smith, and David Baldacci. The books chronicle the adventures of two siblings, Amy and Dan Cahill, who discover that they belong to the Cahill family, the most influential family in history. Written by Gordon Korman, two years after the Clue Hunt, all who succeeded in finding Gideon's serum recipe have become Madrigals. 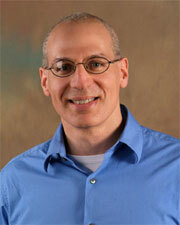 The feud between the Cahill branches has ended, and the family unites to battle a new enemy: the Vespers. The Vespers are a secret organization an anonymous man called Vesper One leads. They have been the Cahills' enemies since the time of Gideon Cahill. The Vespers hold seven Cahills hostage to coerce Amy and Dan into retrieving rare artifacts for them.